Setting up a fax used to mean significant expenditure in both time and money. The consumer had to buy the physical hardware (that is, a fax machine, which can cost upwards of £50), install a phone line, and set up the machine. Then there was the issue of adding printing paper, ink and regular maintenance of the machine. As phone lines have become more precarious in most houses and offices, fax machines too have gone the way of the Dodo and are fast disappearing from offices in favour of online faxing services. There were over 100 million fax machines in use at the peak of the technology before the invasion of the internet and email made them redundant. 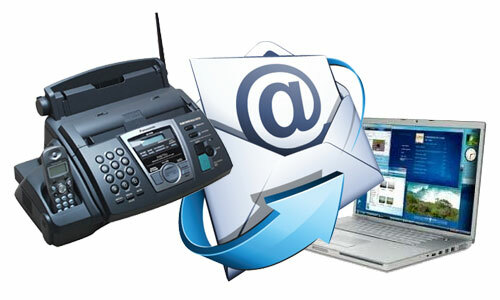 Online faxing services make it incredibly easy to procure a fax number. Instead of investing in a fax machine, paper and a dedicated phone line, a business only needs to sign up with an online fax service (which are often free for home users). This service will assign a real fax number to the user, through which the user can send and receive faxes. Sending a fax with an online fax service subscription is as easy as sending an email. After you sign up for the service, you can send a fax to any number in the world by attaching the document to be sent in an email and mailing it to specified fax number on the service’s domain name (example: 18005554321@emailfax.com). The service will translate the digital document into a machine readable format and forward it to the recipient’s fax machine, which will then print it out on paper. The whole process takes less than a minute and is as easy and seamless as email. 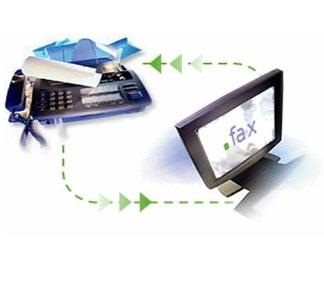 Technologically, online faxing services essentially convert digital data to analog information that can be read by fax machines. The document to be faxed already exists in a digital format. When the service receives the document via email, a computer program converts the digital data into a format that can be understood by a fax machine. This information is then transmitted via traditional means (i.e. phone lines) to the recipient’s fax machine. Most services offer users dedicated downloadable applications to further streamline the faxing process. Receiving faxes works on the same premise: a sender only needs to know your (virtual) fax number to send you a fax. The document is received by the faxing service, which converts the data into digital format and forwards it to your email account. You will receive the document as a regular email attachment in your mailbox. It isn’t any different from sending emails, only more efficient. An online fax number is indispensable in most offices. It allows you to communicate why faxes with others who might not have email access or to send/receive physical documents. It is faster, cheaper, and more efficient than a regular fax, and can be accessed from anywhere and any device as long as you have an internet connection. Nathan Morgan has been an IT professional for 14 years.